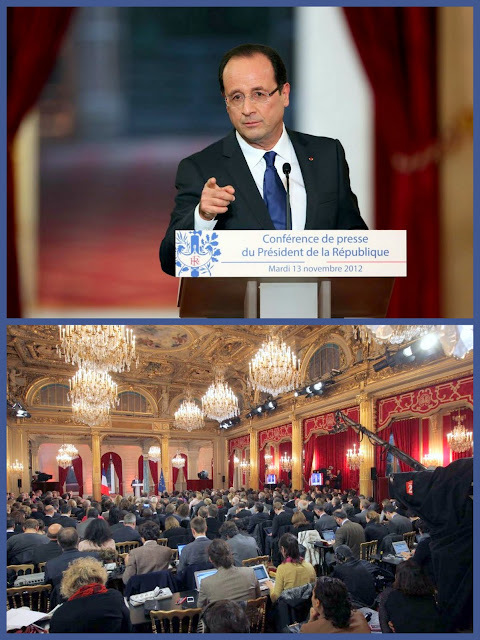 President François Hollande announced the move at his first televised news conference at the helm in Paris. Hollande said France would look at the question of arming the Coalition, but that it would not support doing so "as long as it wasn't clear where these weapons went". "With the Coalition, as soon as it is a legitimate government of Syria, this [arming] question will be looked at by France, but also by all countries that recognize this government," he said. The Obama administration’s attitude vis-à-vis the Syrian opposition body it helped create in Doha earlier this week remains overtly ambivalent. U.S. State Department spokesman Mark Toner told Tuesday’s press briefing Washington recognized the National Coalition as a legitimate representative, but stopped short of describing it as a sole representative, saying the group must first demonstrate its ability to represent Syrians inside the country. “We did issue a statement the other day congratulating the representatives of the Syrian people who gathered in Doha for their formation of the National Coalition for Syrian Revolutionary and Opposition Forces. We look forward, obviously, to supporting the National Coalition as it charts a course for the end of Assad’s bloody rule and marks the start, we believe, of a peaceful, just, and democratic future for the people of Syria. The United Kingdom was far more evasive than the United States. British Foreign Minister William Hague, speaking at the Arab League in Cairo on the same day as Hollande and Toner, said the opposition Coalition must gain support from within Syria. "That is a very crucial consideration, and if they do these things well then yes we would then be able to recognize them as the legitimate representatives of the Syrian people," he said. France has now gone further than even the Arab League and Gulf Cooperation Council (GCC) in their respective recognitions of the opposition Coalition.